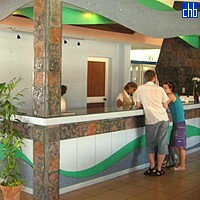 Hotel Club Amigo Rancho Luna is located on Playa Rancho Luna, between the sea and the mountains. It is a particularly excellent place to stay if you wish to combine diving and other water sports with urban rides and ecological tours. 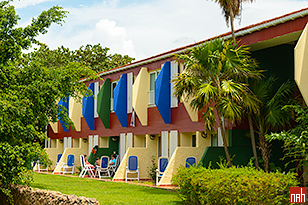 The recently remodeled all-inclusive two-story Bauhaus-style edifice dates from the Soviet era, but the purely functional architecture has been enlivened by fresh coats of paint. Dolled up with tropical color schemes and rattan furnishings, the 222 bedrooms are comfy enough, but not enough to make you wish to linger, despite international programming on the satellite TVs. 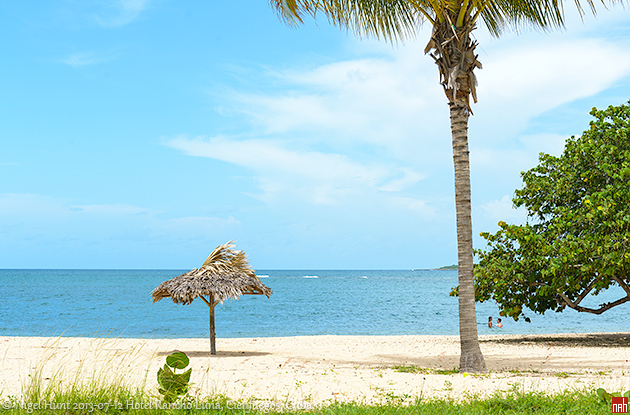 Instead, you'll want to spend your time by the sand beach or the Olympic-size pool, both of which are palm-shaded. 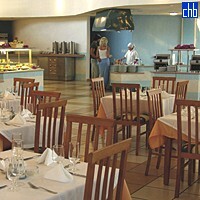 The two restaurants win no gourmet prizes, and the buffet and a la carte dishes here are limited in range. The cappuccino bar makes amends for coffee addicts. Entertainment is not sophisticated. The staff perform cabarets, and work hard to keep guests amused day and night, but there's simply not that much to do after sunset. 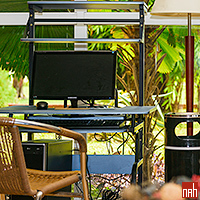 By day, scuba diving a big draw; the hotel has introductory lessons, and the on-site dive operation has certification courses. And there are a modicum of non-motorized watersport and recreational activities, such as volleyball. 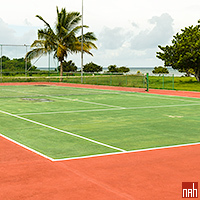 However, if you want to use the tennis court, bring your own racket and balls! 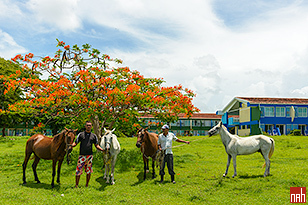 A high point is wide range of tour excursions to the Sierra Escambray, Trinidad, and further afield. 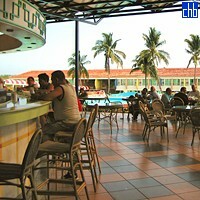 Cienfuegos City is less than 30 minutes drive away. From 1st September until 8th December 2018 the swimming pool of Hotel Rancho Luna will be closed for reparation works. During this period, guests can use the swimming pool at Faro Luna Hotel. 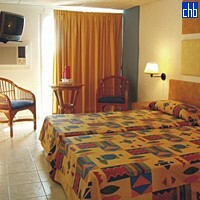 The hotel will also guarantee the transportation as well as some drinks & snack.